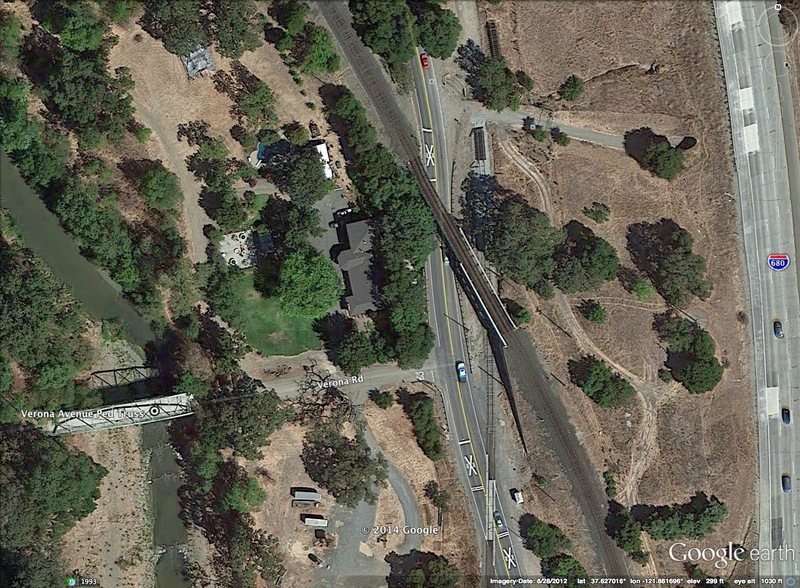 Next to yesterday's Verona Avenue Bridge is the Pleasanton-Sunol Road Underpass (33C0105). This highly skewed railroad bridge was built in 1907, but I couldn't find much written about it. I guess 107 year old railroad bridges aren't that unusual for Alameda County. The bridge has two spans, a long through girder span over railroad tracks and a shorter deck girder span over Pleasanton-Sunol Road. Alameda County, California Bridges: Pleasanton-Sunol Road Underpass by Mark Yashinsky is licensed under a Creative Commons Attribution-NonCommercial-NoDerivatives 4.0 International License.